Hello dear friends! 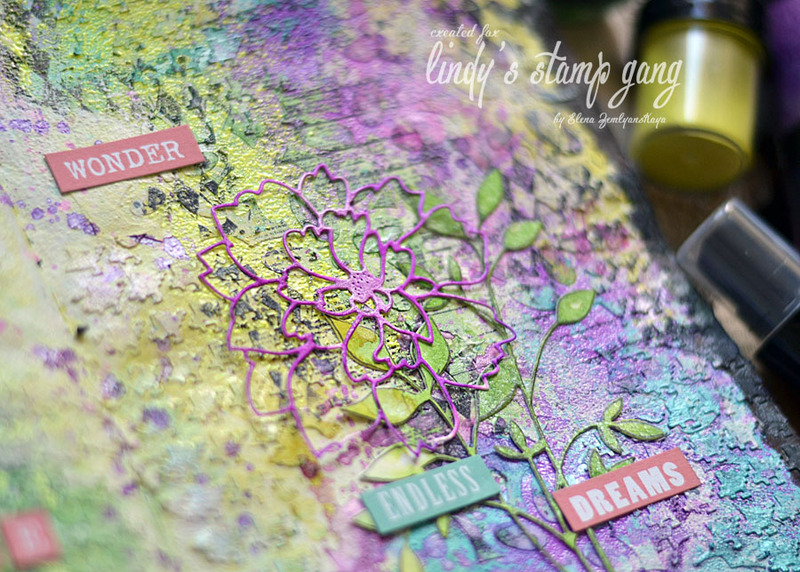 Today I would like to share with you some of my experiments with gorgeous new “Drop dead diva” set of colors. 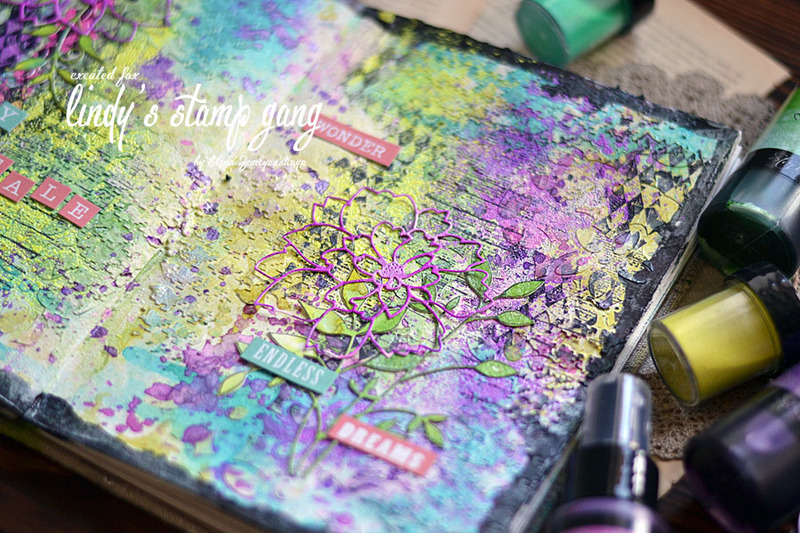 To test them I’ve made a new spread in my art jorunal. The colors are just fantastic! Blazing Black Flat Fabio spray to make a frame on my spread. 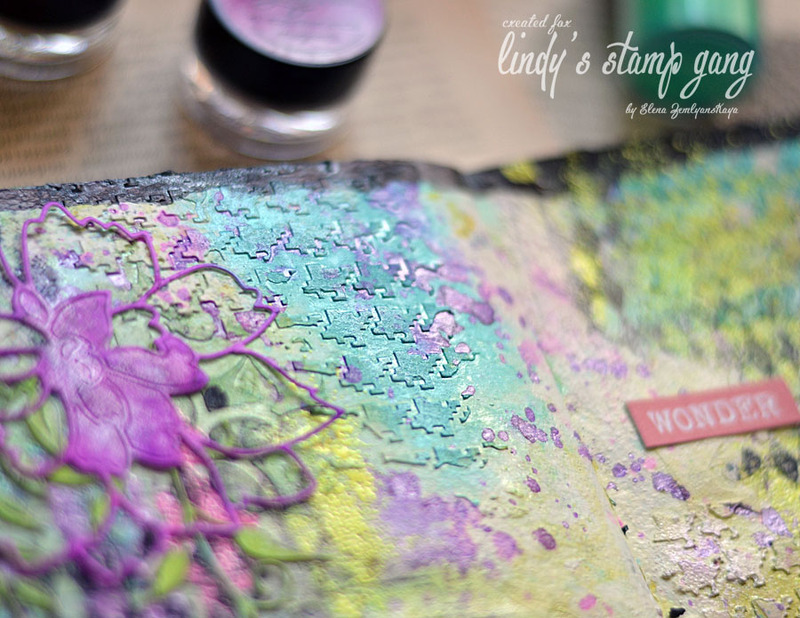 The die–cuts are made from paper that was also pre-colored with sprays. 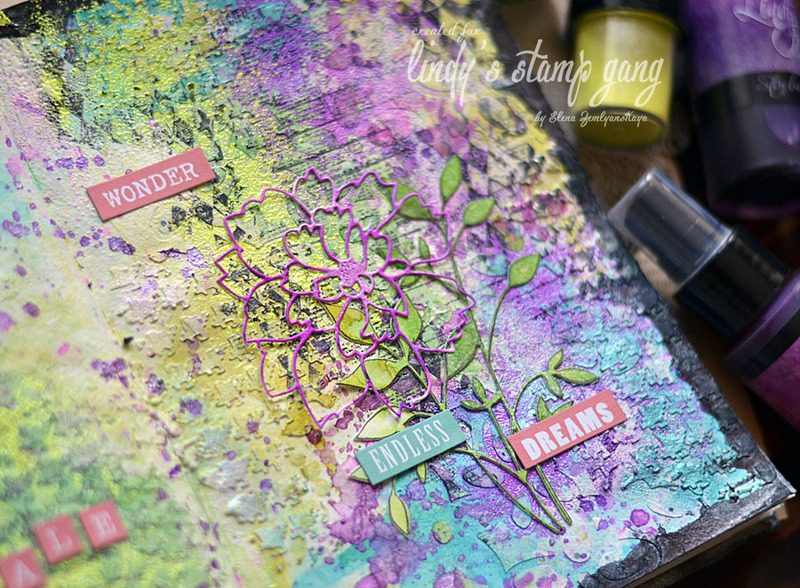 Embossing powders can be a great addition to the mixed-media background. 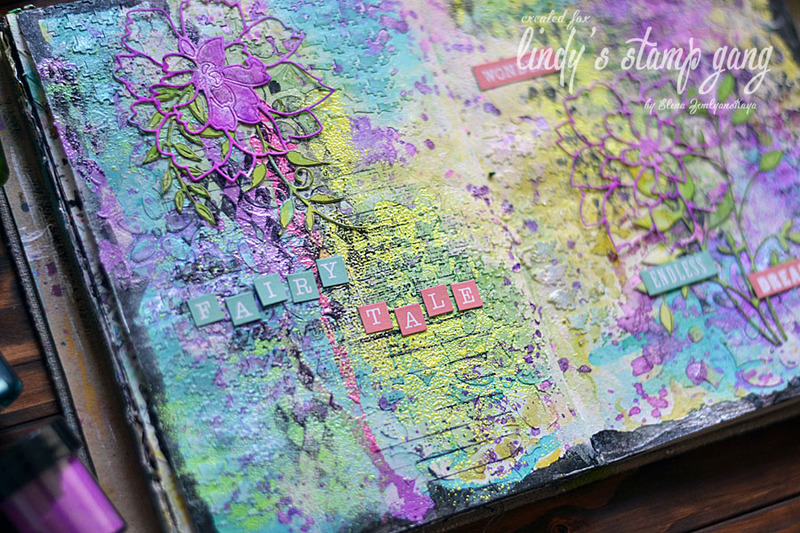 I used embossing powders from Drop Dead Diva set as well. Just amazing! I loved watching you apply the paste! I was going to say magical but then I saw that is what THEY were called!! Now, I know why! But, it was you who made it all magical! Thank you! Sensational colours and great video, thank you for sharing !! !